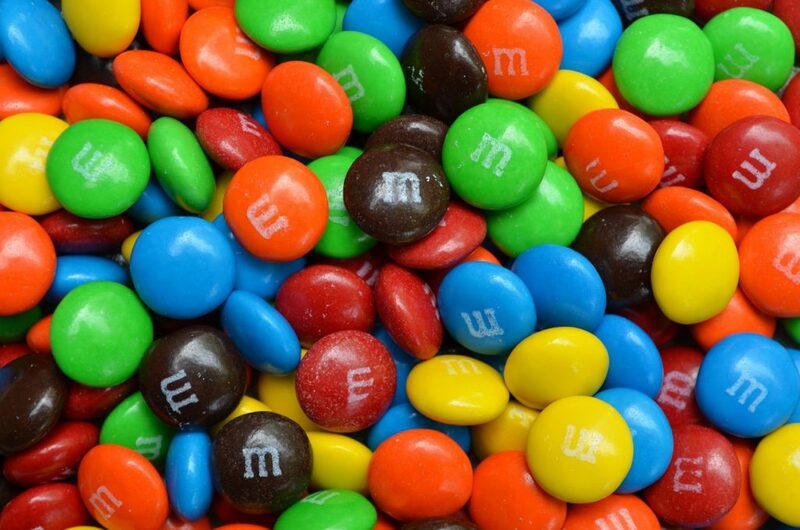 My kids’ favorite holiday is here — and I think we all know what that is! HALLOWEEN! So now’s the time to treat them with some sweet, gooey chocolatey goodness that they can wash down with a cold glass of milk. They love their mommy’s organic Halloween cookies – which is actually my altered version of Emily Schuman’s recipe. I just tweak it a bit to make it healthier and add some nutrient density to it. The best part is you can get the kids involved and have them decorate it! 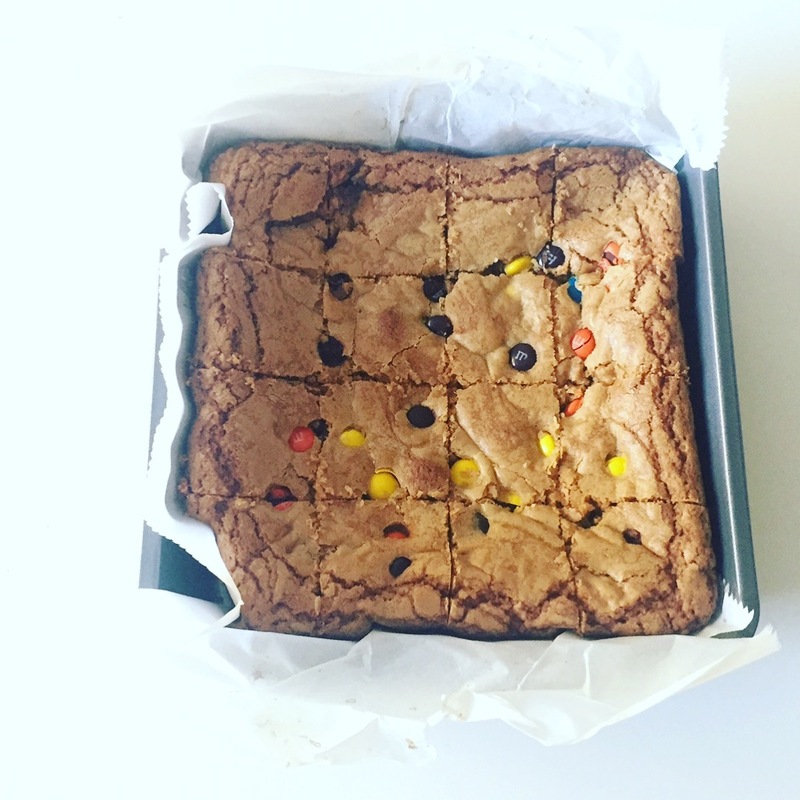 + Spray a an 8-inch square baking pan with baking spray then line pan with parchment paper. 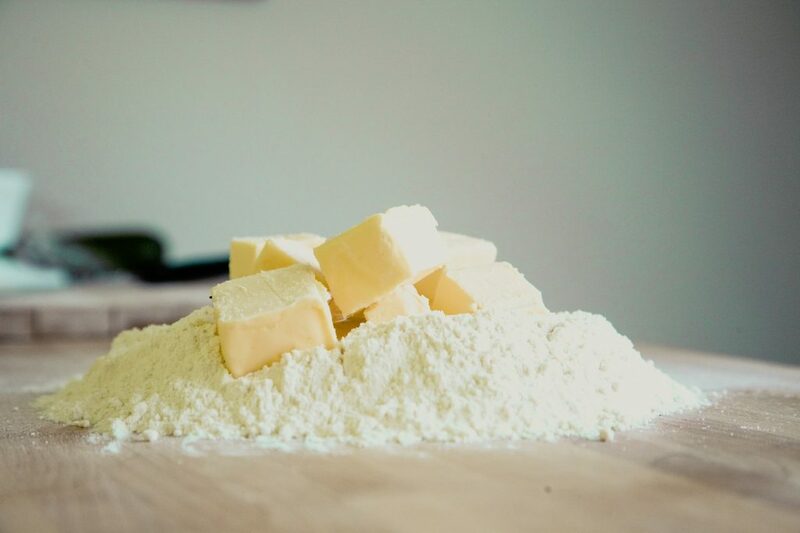 + In a large bowl, whisk together butter and sugars until the sugar is melted into the butter. Add in eggs and vanilla. + Then add in the flour and salt and baking soda and stir until combined. Fold in half the candies. + Transfer the batter to the pan and smooth out the top. 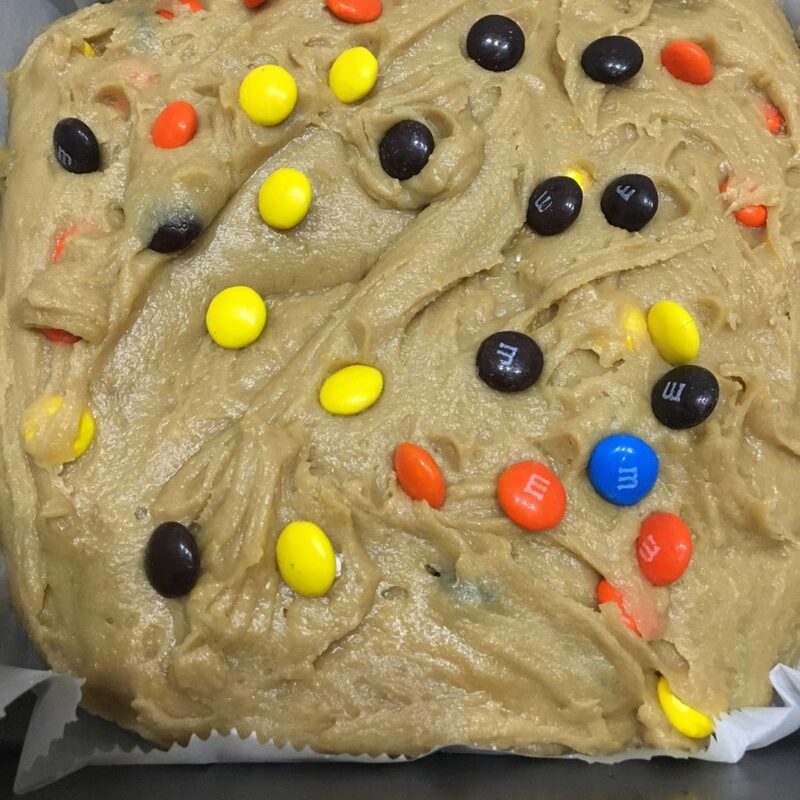 Have your kids add the remaining Halloween colored M&M candies on top of the dough. +++Next on my list to try is this delicious ridiculousness!